Share your after pictures. Let’s celebrate progress together! Let us know what stopped you from moving forward (You aren’t the only one!). Let help keep each other motivated! Celebrate what you got done, even if it isn’t exactly what you hoped for! If you didn’t move forward, what stopped you? What would motivate you to move forward? I have been collecting and adding to my word document DIY Household Ideas & Tips from various websites for over a year now. These classes and website has provided me the incentive to get me motivated to make time to do some of them. Although it has been slow, it has been steady even thru my current house packing situation. I’ve included before and after photos of the organizing areas I have completed within the last 2 weeks with the exception of the areas I forgot to take before shots of. 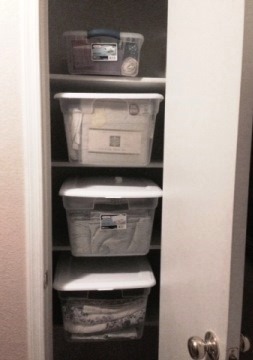 The linen closet items are now in totes separated and labled by bedding size. The towels and bathroom items also have their own tote. 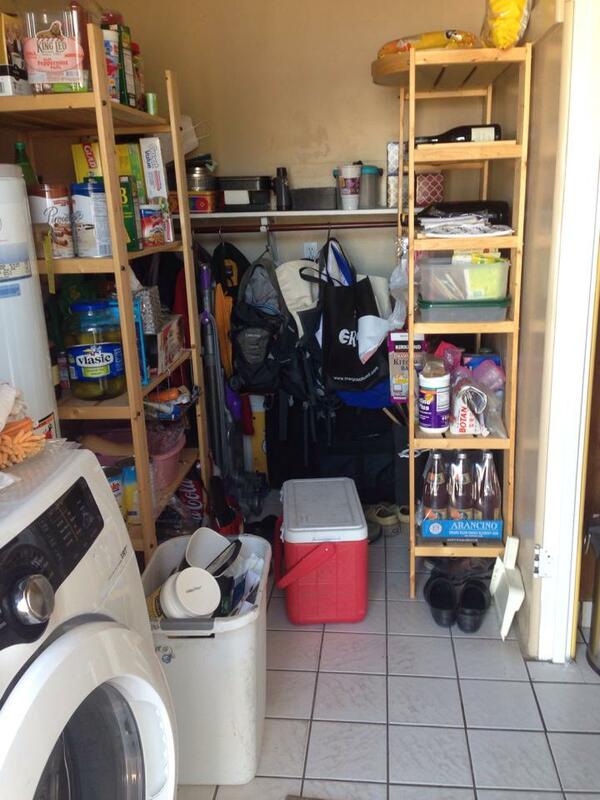 The next oranizational tasks off my list include under the kitchen sink, the cloths hanging in my closet and my garage. Onward and upward!!! Ok…I didn’t take a before I started anything picture, but this is my desk today (which is way better than last week, I PROMISE!!! 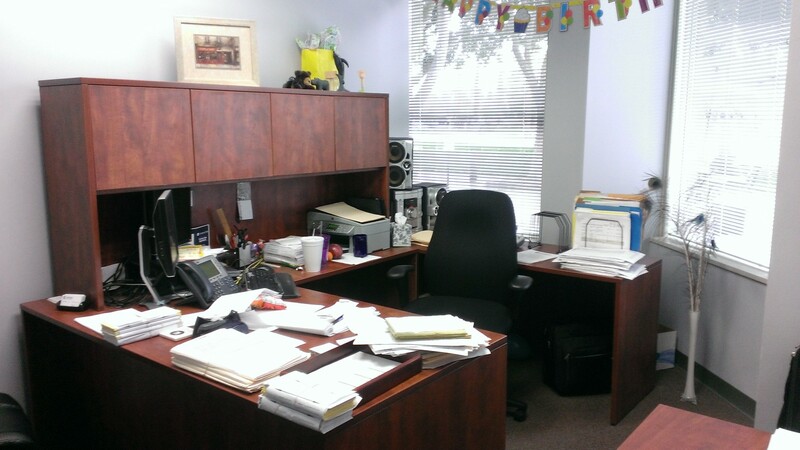 But you may notice the piles (they’re everywhere) but the one to the left side of my desk is a few inches shorter, and there was another one behind my chair that is gone now. And don’t forget my drawer (i’ll have to get a picture of that tomorrow. I’m still in the game, but clearly in last place. I do have before photos, and will post those when my zones are complete! My project started with collecting all sorts of ideas and browsing through various magazines while waiting for my “project savings” to grow to what I thought I needed. 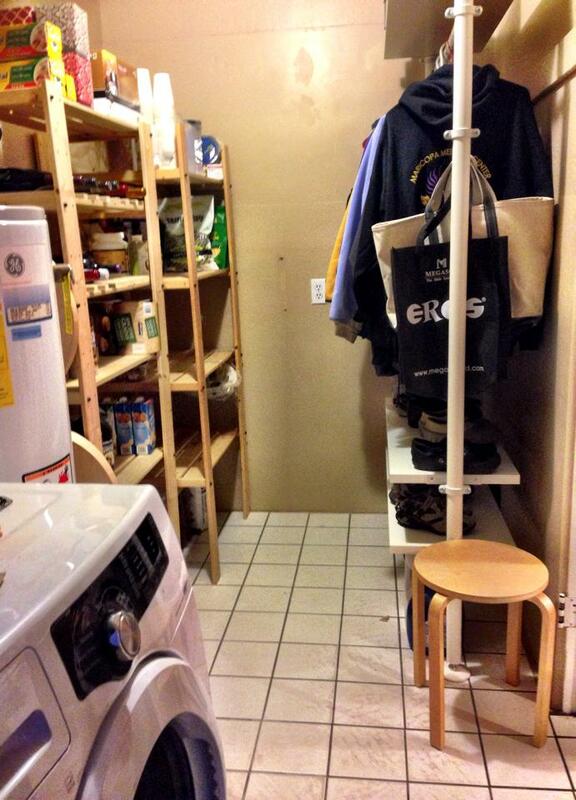 It took me 2 months, and one day to convert my laundry room-pantry from a mess to an organized functional room. 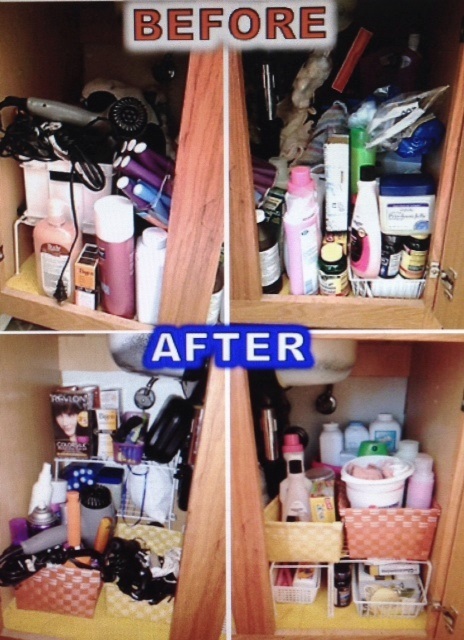 This is the BEFORE photo…..
And… this is the AFTER photo. It took me two months to save my money. 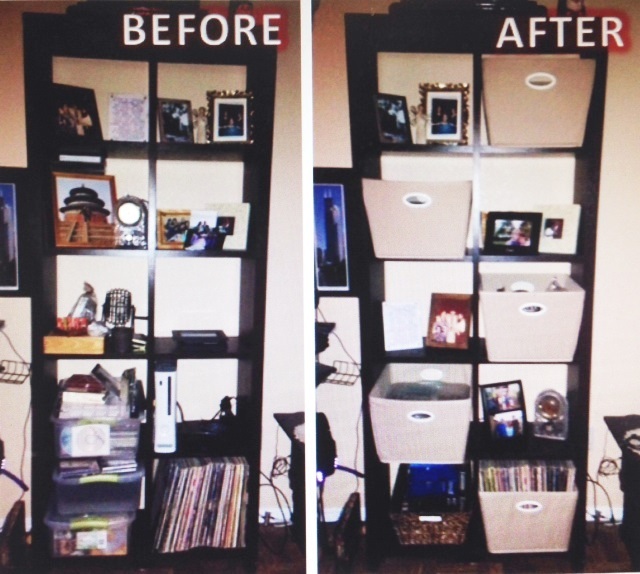 A trip to IKEA, $170, 2 people and one day later….